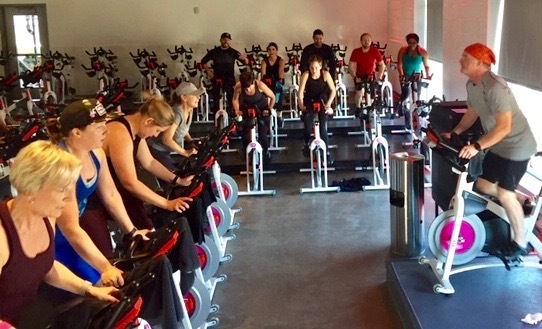 Thank you to everyone who joined us at The Firm for a 45 min spin class lead by spin instructor, John Tieszen. John lead us through a fun and sweaty workout while jamming out to the best tunes. We raised $900 which will go towards WalkTalkConnect and The Givens Brain Tumor Center programs for patients and families challenged by the effects of rare brain & spinal cord tumors. Opportunities for connections through “Peer-to-Peer Mentoring” are vital to the healing process, so your support in these programs is important. 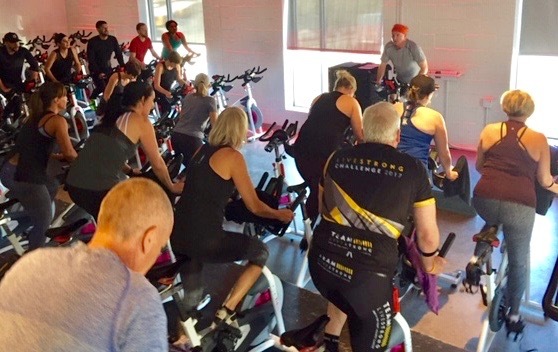 So THANK YOU to everyone who came out to Spin, Sweat and Connect! If you missed this time, don’t worry! We will be hosting more events to come that focus on the importance of physical fitness to the recovery process. So there is more spinning to come! And a “Doga Yoga” event; so get Fido limbered up!